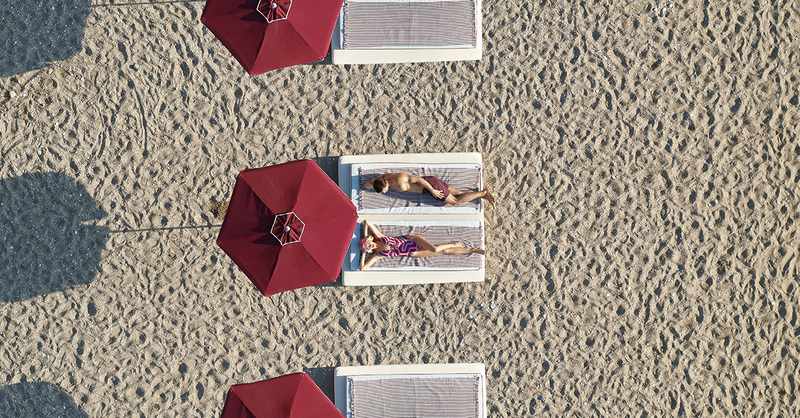 LUXURY MADE EASY® is born out of a vision for waterfront lifestyle and it showcases “LUXE ALL-INCLUSIVE LIVING®” – which simply becomes a part of your life. Irresistible! 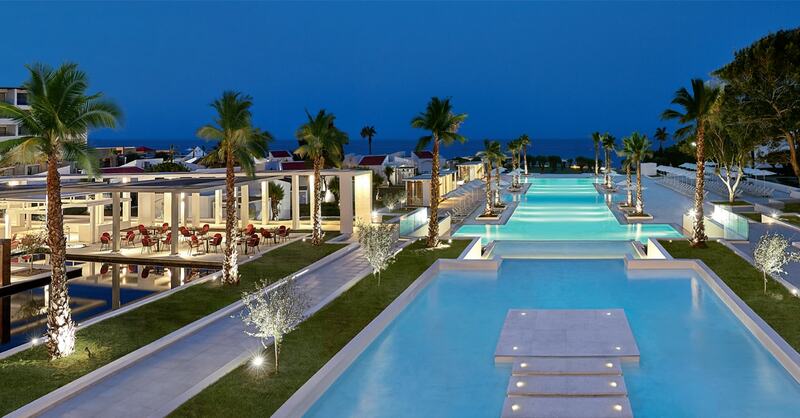 The resort mirrors the comfortable elegance of the Grecotel Luxe All-in Living with open-style public spaces, a water wonderland featuring marvelous pools and generous light-filled main building and bungalow village accommodations. An exciting collection of open plan guestrooms and stylish suites, along with unique bungalows among lavish water features and spacious family accommodation to choose from. A selection of 6 restaurants offering a la carte Greek, Italian, Asian and Fusion cuisine menus cooked with the best of ingredients as well as a 24/7, a Pâtisserie & Chocolatier, a Crêperie & Gelateria, premium brands, snacks and ice Bars, wine tasting areas, pool & beach service petite gastronomie and not-to-tell Grecotel’s little luxuries. 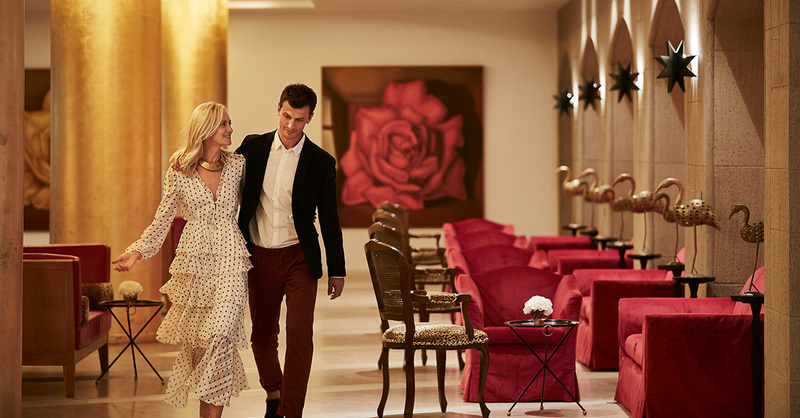 Uniquely appointed guestrooms on high floors with airplane views or singular bungalow accommodations by the pool with either an open plan configuration for couples or separate bedrooms for families. 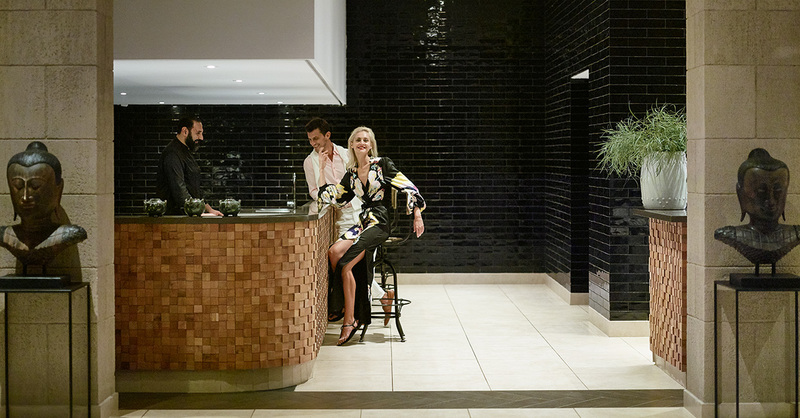 A concierge service for all guests, where designated staff members are at your disposal via WhatsApp, to assist on everything you may desire. 1 Freshwater pool with waterslides, 1 Freshwater Bungalow Village pool, 1 children's pool and a family friendly beach awarded the Blue Flag, are available for funny games in the water! Extensive variety of family accommodation options, “Petite Gastronomie” with farm to table veg+fruit and baby food sur mésure, GrecoBaby and Grecoland specialized programs with a wealth of fun things to do for all age groups. Multiple activities, sports & watersports, parties & entertainment for all ages, spa and so much more. 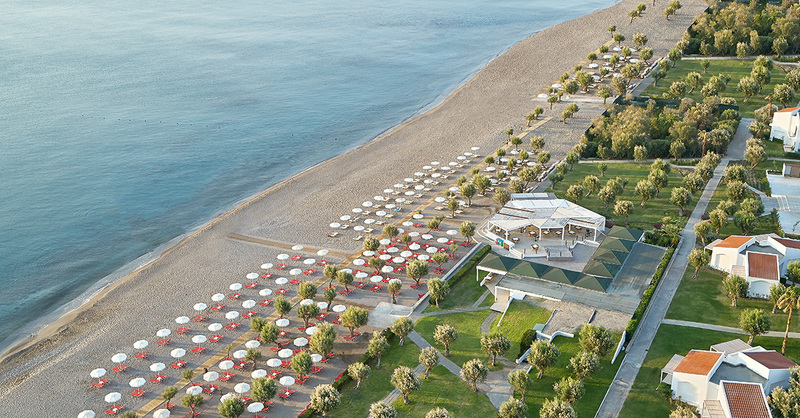 A world of gourmet choices either by the water wonderland with marvelous pools and water features and the beach or at the elevated restaurant arcade with eye-opening view: and not-to-tell Grecotel’s little luxuries. 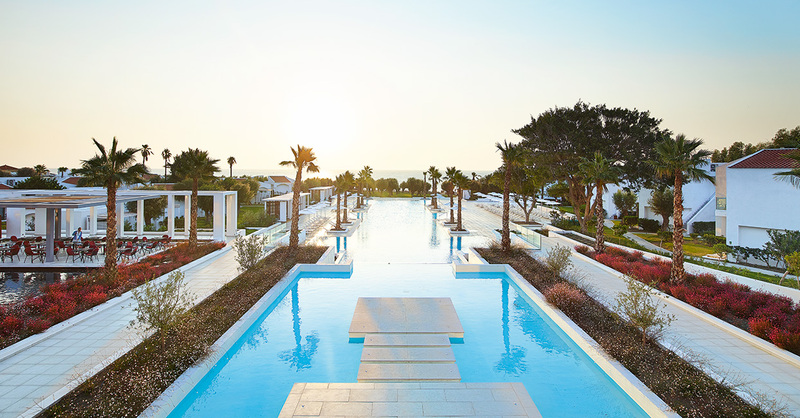 Lux Me Rhodos is a delight with world-class restaurants, sunset lounges, water features, lovely pools with open-air cabanas & daybeds, a magnificent beach dotted with signature red umbrellas & loungers and a full-service Spa in our refined sea view premises. Extensive variety of family accommodation options, kids tasty corner dining: petite gastronomie, farm to table veg+fruit and baby food sur mésure. Child‐friendly beach awarded the Blue Flag, 2 Fresh water pools & 1 children’s pool available for funny games in the water! The beauty spa features an indoor pool with a pyramid-shaped glass roof, fitness room with state-of-the-art cardio equipment. A family and sport friendly resort with a host of activities from morning to night including sports, watersports entertainment and many other recreational activities.